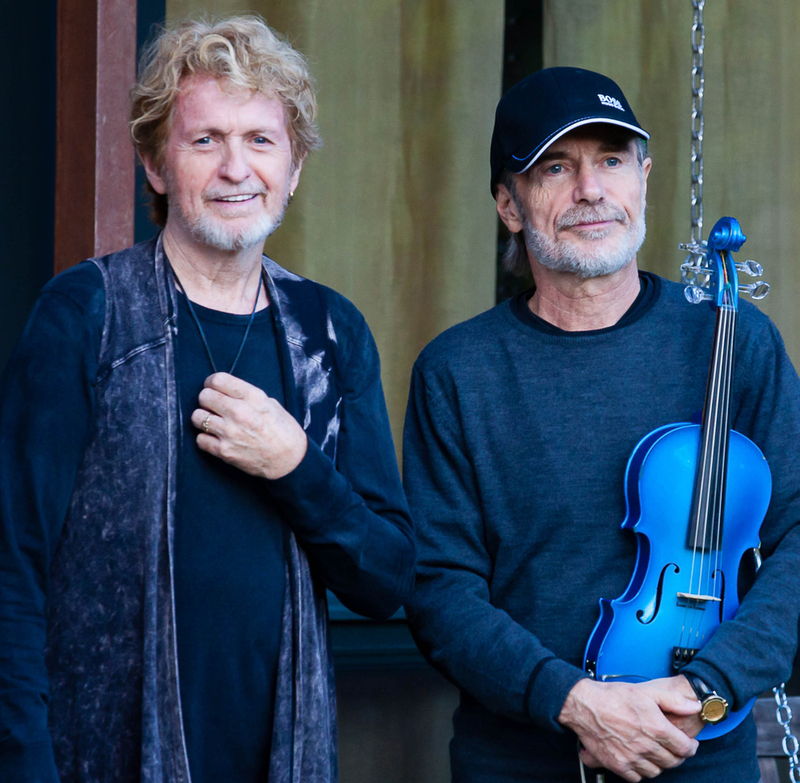 Music icons Jon Anderson and Jean-Luc Ponty have combined their musical talents to form a new supergroup - The AndersonPonty Band! YES's original singer/songwriter for 35 years, Jon Anderson has had a successful solo career, which includes working with such notable music artists as Vangelis, Kitaro, and Milton Nascimento. 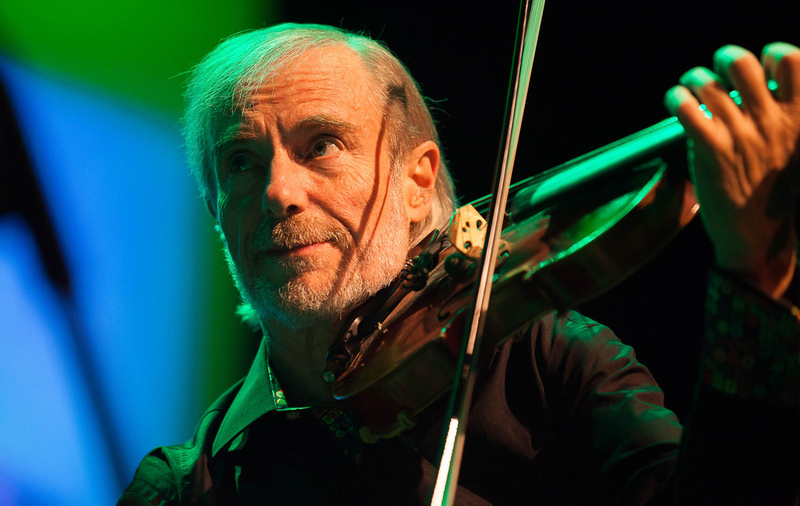 International violin superstar Jean-Luc Ponty is a pioneer and undisputed master of his instrument in the arena of jazz and rock. He is widely regarded as an innovator who has applied his unique visionary spin that has expanded the vocabulary of modern music. Together these two music legends have formed a musical synergy that is unparalleled. The AndersonPonty Band also includes Jamie Glaser on guitars - well known guitarist who has worked with Jean-Luc Ponty, Chick Corea, Bryan Adams and Lenny White; Wally Minko on keyboards - virtuoso player and composer who has performed and recorded with many worldwide stars including Pink, Toni Braxton, Jean-Luc Ponty, Tom Jones, Gregg Rolie and Barry Manilow; Baron Browne on bass who has played with Steve Smith, Billy Cobham and Jean-Luc Ponty; and Rayford Griffin on drums and percussion, who has played with Stanley Clarke Band, George Duke, Jean-Luc Ponty and Michael Jackson. The band visit the music created by Jon Anderson and Jean-Luc Ponty over the years with new arrangements, virtuosic performances and new energy. Jean-Luc Ponty was originally approached by Jon Anderson with the idea of working together as far back as the 1980's. Now 30 years later the dream has finally come to fruition! Along with rearranging old favorites, The AndersonPonty Band have created breathtaking new compositions. The group were in residence for three weeks in September 2014 at the Wheeler Opera House in Aspen, Colorado, rehearsing, recording and playing a public performance on September 20th. An album “Better Late Than Never” featuring the performance is being completed in Los Angeles and is scheduled for release in fall 2015. Also, a videography documenting the making of the album will be released as well as videos and performances. His solo work has been equally prolific, including his successful partnership with Vangelis that yielded a series of critically acclaimed albums, including The Friends of Mr. Cairo. Among their collaborations is the composition “State of Independence”. An interesting historical footnote about Jon's place in rock history is that this song was covered by Donna Summer in 1982. Producer Quincy Jones decided to add a chorus of background singers that included Stevie Wonder, Michael Jackson, Dionne Warwick, Lionel Ritchie, Kenny Loggins and others. That recording session led to the creation of the 1985 We Are the World project. June 14, 2011 marked the official release of Jon Anderson's new album 'Survival & Other Stories' co-produced by his wife, Jane, on Voiceprint Records / Gonzo MultiMedia. The album received rave reviews by critics and fans alike worldwide along with substantial airplay. Two new songs written by Jon, with music by Michael Mollure, titled “The Highest Pass' and “Waking Up” were included in the film 'The Highest Pass' released in August 2011. In the fall of 2011 Jon and his friend and former Yes band-mate Rick Wakeman reunited for a tour of the northeast US and some dates in Canada. Once again the tour was a huge success with concert goers and the music press. In February 2012 Gonzo MultiMedia released the CD'Anderson / Wakeman – The Living Tree In Concert Part One', which featured live tracks from the duo's 2010 UK tour. On October 25, 2011, Jon Anderson's 67th birthday, his latest musical masterwork, a 21-minute opus titled 'OPEN' was released digitally. A return to the long-form composition that Jon Anderson is best known for, (“Close To The Edge”, “Gates of Delirium”, "Revealing" and “Awaken”), 'OPEN' is a 21-minute exhilarating musical journey; a pioneering effort that weaves intricate melodic and harmonic themes within a classical music framework whilst showcasing Anderson's iconic vocals and timeless melodies throughout. In many ways 'OPEN' is a return to Jon Anderson's musical roots, as Yes music continually flows through his veins, making it only natural to revisit now and again. Coupled with wonderful orchestration by his neighbor and good friend Stefan Podell, messages of peace, love, light and freedom are further explored within 'OPEN', making listening an uplifting and joyous experience! Jon completed several successful solo tours in 2012, and a tour of Australia in Spring 2013, along with shows in Europe and North America. Jon has also done work with a new generation of musicians through the School of Rock programs and the Cleveland Youth Orchestra, with very impressive and inspiring performances of complex music by Jon with some very talented young musicians. In addition to providing these young musicians with a unique understanding of music and the performance opportunity of a lifetime, Jon considers this work among his most rewarding efforts. In November of 2013, Jon went to Iceland to perform with the Icelandic rock group Todmobile, along with an orchestra and choir. That performance, which included an awe-inspiring performance of the epic “Awaken” that can be found on YouTube showcased Jon’s songs and his voice in all of its magical grandeur. Also in 2013 Jon was awarded the “Voice of Progressive Music” award by VRMA. Throughout 2014, Jon completed hugely successful tours in North and South America, regularly playing to sold out crowds. He also continues to record new music for the follow-up to 'OPEN', titled 'Ever', and the follow-up to 'Olias of Sunhillow', titled' The Songs of Zamran'. In addition to music, one of Jon Anderson's passions is painting, and he uses his at as yet another channel for his creativity and self expression. His artwork has been shown in galleries and is available to view on his official website. 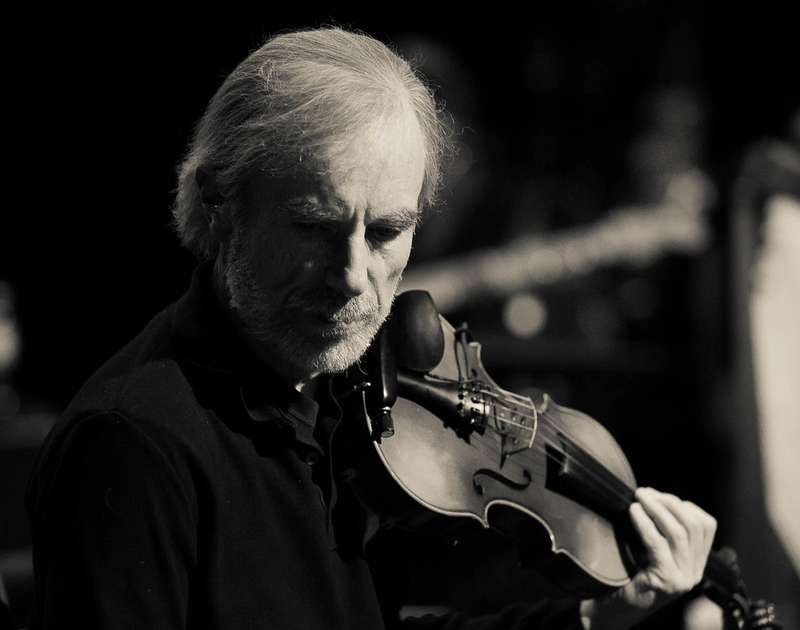 After studying classical violin at the Paris Conservatory, Jean-Luc Ponty turned to jazz in the 60s. Thanks to his revolutionary style he collaborated with some of the best European and American musicians such as Eddy Louiss, Daniel Humair, NielsHenning-Ørsted Pedersen, John Lewis, Lalo Schifrin, and Quincy Jones. He became the first bebop violinist and U.S. jazz magazine ‘Down Beat’ created a violin category for him in its critics’ poll, until then violin was in the ‘miscellaneous instruments’ category. His pioneering work on the electric violin in the 70s attracted the attention of pop and rock musicians, he recorded with Elton John and participated to several tours and legendary recordings with Frank Zappa’s Mothers of Invention and John McLaughlin’s Mahavishnu Orchestra. In 1975 he founded his own band and became one of the most prominent figures of the jazz-fusion movement in the USA, selling millions of albums that all reached the top of the U.S. charts. Ponty's most recent album “The Atacama Experience” is considered as one if his best and to this day Ponty keeps touring with his band around the world. Ponty also collaborates on occasional projects such as The Rite of Strings with Stanley Clarke and Al Di Meola. In 2011 Ponty joined the mythical American group RETURN TO FOREVER IV with Chick Corea - Stanley Clarke - Lenny White and Frank Gambale for a world tour spanning on 5 continents. In April 2013 Herbie Hancock invited him to perform in Istanbul at "International Jazz Day" for UNESCO. Ponty also founded a new quartet with his daughter, pianist-singer-composer Clara Ponty which performed in France and Germany in 2014. Ponty also performed with the 89 musicians of the Novosibirsk Philharmonic Orcherstra for the Siberian Christmas Festival. In 2014 Ponty has recorded an album as an acoustic trio with Stanley Clarke on double bass and Gypsy-French guitarist Bireli Lagrene, which will be released on Impulse/Universal in the Fall 2015.